The bathrooms are an important part of our life and must be lavishing and luxurious. They are as important as our rooms. They relax our mind and soul. So, you can make them glorious and attractive by using different sanitary ware brands in India. Sanitary ware products are faucets, water closets, bath and shower products and wash basins. Variety of designs to satisfy your customer. Providing required accessories, diagrams and fixtures. Excellent customer after sales support. It is a US-based brand with more than 50 manufacturing plants in the world. The manufacturing unit in India is in Jhagadia, Gujrat. The production capacity is approx. 1.5 million pieces every year. Kohler manufactures premium toilet products. It produces high-quality, user-friendly with creative designs. It produces tanks, toilets, bowls, water efficient toilets, pedestals, and urinals. They provide excellent after sales service. It is one of the fastest growing brands in India. It started its operation in 1980. It offers full bathroom solution. The manufacturing unit is located in Kadi, Gujrat. It was awarded as a trusted brand award in 2015 and power brand award in 2013 and 2012. It manufactures urinals, washbasin, seat covers, water closets and cisterns. 3. Hindustan Sanitary ware Ltd. It is one of the largest sanitary ware producers in India. It has two manufacturing facilities in Bahadurgarh, Haryana and Bibi Nagar, Secunderabad. It manufactures their product by the name of hardware. It manufactures products under the name of Hindware art, Hindware Italian and Hindware. It produces various bathroom solution like tiles, shower panel, closets, water closets, urinals, wash basin, bidets, cisterns and water heater. The designs are available for all kind of customers. They are popular for their faucets. They first started to trade sanitary wares and afterward started their own manufacturing facility in Gujrat. They have many dealers in India and offer 10 years warranty for their products. They provide a complete solution for the bathroom and provides a wide variety of bathtubs. It serves to high-end customers. It launched its new model flush toilet, tornado flush toilet. The flushing mechanism is different from classic flushing. The process of flushing is better than classic model water closets. It manufactures products like bidget, toilets, suite collections, bathtubs, lavatories, washlets, showers and bathtubs accessories. It is the oldest sanitary ware manufacturing company. It manufactures products by the name of Roca. It has a strong distribution network in North and South India. It has three production units in Ranipet, Dewas and Alwar. It is the first brand in this category that was awarded as a Super brand of India. It manufactures closets, bath tubs, basin, urinals, traps, lab sink, seat covers and electronic flushing system. 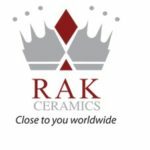 It is a Dubai based company that manufacture ceramic products. It offers complete bathroom solutions from faucets, tiles and health ware. Some of the products are bowls and counter, back to wall, extended wall hung, pans and urinals, and regular basin. It is located in Morbi. It manufactures many high- quality sanitary ware products. It also produces the product for other brands. It has around nine manufacturing facilities worldwide. It has started plant commissioning and erection in 2010 in Gujrat. In the year 2013, it launched a complete bathroom series. It serves high-end customers and produces console basins, sinks, urinals, toilets, shower trays, bath tubs and bidets. It is a morbi based sanitary ware company. The company started its operations in 2008. It manufactures products such as pedestal wash basin, suites, platform basin, counter basin, closets, accessories and urinals. You can select the best sanitary ware brands in India. You can select the designs according to your requirement and lifestyle. It must provide you with a great sense of satisfaction and luxury. It must bring refreshment and rejoice in your lifestyle. Therefore, everyone needs to select the best sanitary brand as it is must to buy the high-quality product from the market. We use sanitary products daily. So, we must take care while buying bathroom fittings. Hence we have prepared a list of top 10 best sanitary ware brands in India. You can buy any of the brands mentioned above.